You are here: Home / Most Recent / Travel Like a Local – Twitter Party to share your tips and win! Travel Like a Local – Twitter Party to share your tips and win! Most of you know that we recently purchased our retirement home in another city (3 hours away!). Moving to a city that we know very little about has been challenging, but we are quickly learning all of the ins-and-outs, as well as finding out the favorite things to do from the locals! We depended on Yelp, and of course Google searches to find things to do. We also enjoyed just driving around – kind of like a treasure hunt – to see what we could find on our own. I really wish I had known about the Residence Inn Thrival Guide after when we bought our house, as it sure would have made it easier to find the things we NEEDED to know as well as just fun activities, dining, etc. What would you like to share with visitors to your town? I just left a couple of tips – one for a yummy restaurant called Crawdaddy’s, and another for a really fun place for the whole family – Clay Cafe. It is really helpful to see what advice and tips others have left as well. The Grand Prize is a 4-night stay at a Residence Inn plus a Platinum Marriott Rewards membership. During the Twitter party, the prizes will consist of three (3) 2 night stays at Residence Inn! 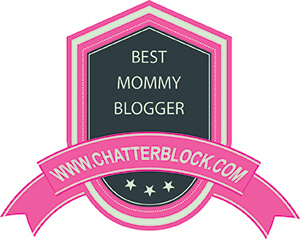 To learn more about the Twitter party (and to sign up), make sure you visit Traveling Mom. She has all of the juicy details for you! *I will be compensated for sharing this information with my readers. Those are my favorite kinds of restaurants!